The Broadway revival of THE SOUND OF MUSIC marked its first anniversary in March, with changes afoot in the von Trapp household: several of the original leads moved on, replaced by stellar talents. 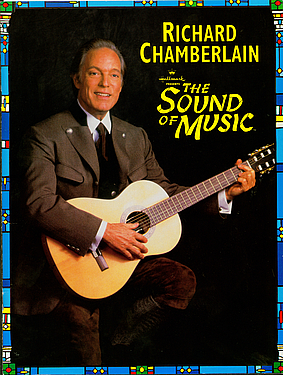 Most notably, the musical's star-power shifted from Maria to Captain von Trapp when TV, film and stage star Richard Chamberlain took command as the autocratic widower. Reported Donald Lyons in the New York Post: ""A good thing has gotten even better."" Chamberlain now leads a company that includes newcomer Laura Benanti as Maria, Lenny Wolpe as Max, Jeanne Lehman as the Mother Abbess, and Ben Sheaffer as Rolf, joining veterans Jan Maxwell (as Elsa) and Sara Zelle (Liesl). In August, Chamberlain will lead the von Trapps across America as a tour of THE SOUND OF MUSIC gets underway in Minneapolis. No stranger to the musical theatre, Chamberlain last appeared on Broadway as Professor Higgins in Howard Davies' 1993 revival of MY FAIR LADY. Having traded in tweed for Alpine garb, he is still fully confident as a musical star. ""When Chamberlain takes charge, all's well in the theater,"" reported Peter Marks in the New York Times. ""He reminds us how few bona fide leading men there are."" ""Chamberlain brings considerable authority to the part of von Trapp,"" wrote Michael Sommers in the Star-Ledger. David Patrick Stearns in USA Today cheered, ""Richard Chamberlain makes beautiful music [and] revives this Broadway revival."" ""It may be Chamberlain...whose handsome face is on the billboards,"" advised Newsday's Aileen Jacobson, ""but the heretofore unknown Laura Benanti is the bigger news. Unaffectedly graceful and with a bell-clear voice, this newcomer...is surely a star in the making."" Nineteen-year-old Benanti ""is a talent we will be seeing again,"" predicted In Theater's Ken Mandelbaum while Marks in the New York Times called her ""a charming, silken-voiced newcomer."" With ""a voice as clear as a spring day and strong as a breeze,"" wrote the New York Post's Lyons, ""bright-eyed Laura Benanti is a revelation."" Together, wrote Sommers in the Star-Ledger, ""Richard Chamberlain and Laura Benanti offer viewers a winning combination of assured star power and dewy charm."" ""What else is there to say?,"" concluded Sommers. ""The well-known story is involving, the unbeatable score is always a joy to hear once more and Susan H. Schulman's production moves along confidently. For classic family entertainment, there's still nothing better in town than THE SOUND OF MUSIC. Long may it sing!"" 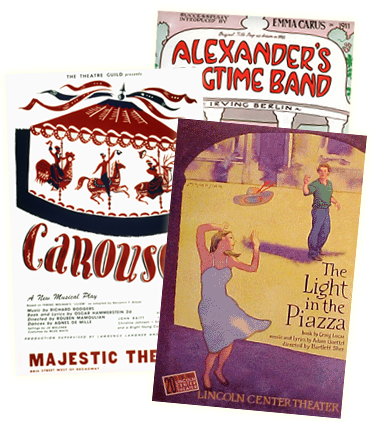 Copyright 1999 | The Rodgers & Hammerstein Organization | All Rights Reserved.